Please fill out this form completely. If you have any questions, please contact us at (440) 505-5357. Please give us the name of the person who will be the business contact. It could be the Owner, Marketing Director or Office Manager. What is the name of your studio or business? What is the best phone number to reach the Point of Contact? It may be the main business number, but it may be a cell phone. You choose. What is the best email for the Point of Contact? We will use this to send confirmation of orders, shipping and general correspondence. We will not share this address with any outside parties. What is the business address? This is the address we will use to ship all orders, bulk wholesale or retail. Please upload your pdf, ai or eps file of your business logo. Max file size is 5MB. Do you want to specify a PMS color? If so, add it here. 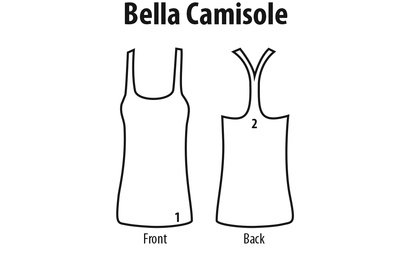 Choose the location for your logo if you are ordering the Bella Camisole. Add your comments or additional information that would assist our monks in creating happiness for your item. 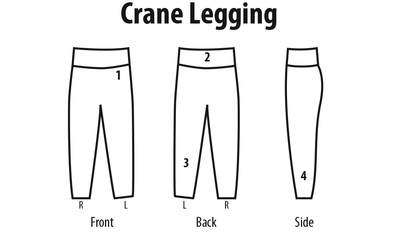 Choose the location for your logo if you are ordering the Crane Leggings. 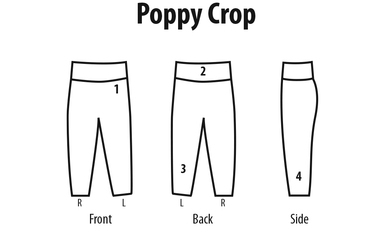 Choose the location for your logo if you are ordering the Poppy Crops. 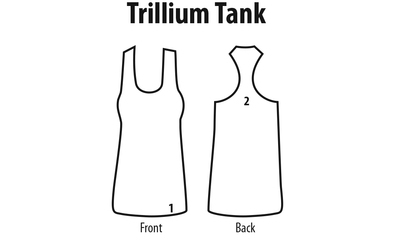 Choose the location for your logo if your are ordering the Trillium Tank. We are curious by nature. Who can we send thanks for the kindness of your business?